There are well over 200 fatal occupational injuries in Florida every year, and tens of thousands of injuries, according to the Bureau of Labor Statistics. With all those cases, and thousands ending up in the hands of judges, how are the final decisions made? 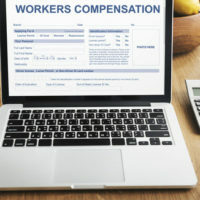 Workers’ compensation is available to all employees whose employers are current on their workers’ compensation insurance premiums (if your employer does not have workers’ compensation, you may be able to file a civil personal injury lawsuit). Because workers’ compensation is no-fault coverage, you do not have to prove who was at fault for causing the accidental injury or illness. Whether the blame lies on your employer, you, a coworker, or another party, you are legally covered by workers’ compensation. However, your employer can refuse to provide benefits if they believe that your injury was not caused at work, the injury was caused by your intoxication, the accident was caused by malice or because laws were broken, or, most commonly, that your injury is non-existent or not to the extent that you say it is. The severity of an injury, and pain, can be difficult to prove at times, especially with soft tissue injuries. For this reason, a workers’ compensation attorney may have to fight on your behalf in court, in which case, the court (the judge or jury) will make the final decision. Judges are human, and much of their decision-making is based on personal characteristics of the injured employee. Their quirks, their demeanor in court, and the believability of their story all help or hurt their credibility in the eyes of the judge. According to a recent American Bar Association judge’s panel seminar, many veteran judges analyze the demeanor of the injured employee, or witness. They look for lack of eye contact, raised eyebrows, evasiveness, aloofness, nervousness, and other facial cues. This is often the first and only time an individual will appear in such serious and stern setting, let alone a court of law. Many judges take this into account. However, how you present yourself in court matters a great deal. An experienced attorney can help prepare you for your day in court if necessary. Does your story sound plausible? Do the events line up with what your duties would normally entail and what your normal behaviors are? Does your story align with other witnesses or people who were at work that day? Do your injuries mimic the type of accident that you claim you were involved with? Part of plausibility is knowing how to explain a series of events in a straightforward, logical manner, which can be difficult under the pressure of the court, during recovery from a serious injury, and throughout the stress of this entire workers’ compensation battle. However, “A causally connected string of actions and behavior not shown to be motivated by psychological norms convinces no one, “as stated by one federal judge. The West Palm Beach workers’ compensation attorneys of Celeste Law Firm are here to provide assistance in any way that they can. Call us today at 561-478-2447.